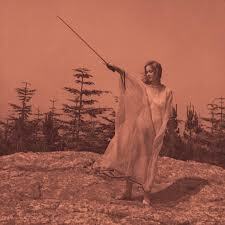 New Music Matters: Unknown Mortal Orchestra's New Release on KCRW's "Album Preview"
Unknown Mortal Orchestra's New Release on KCRW's "Album Preview"
KCRW is streaming Unknown Mortal Orchestra's upcoming release II as part of the NPR station's "Album Preview" program. Clocking at just over forty minutes, the ten song collection continues the underhanded theory of musical psychedelic minimalism by this Portland trio. 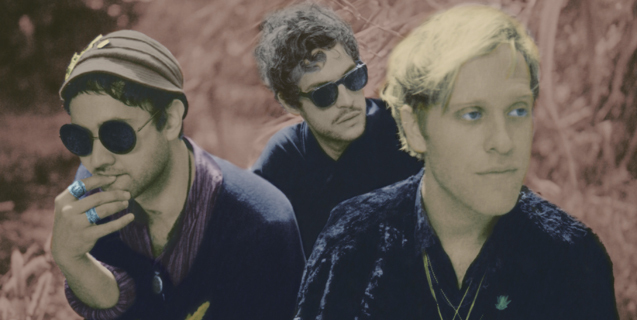 Or as the group's record label Jagjaguawar describes it, their "break-beat, junk-shop charm." The songs were written during a grueling tour after the notoriety of the Bandcamp hit "Ffunny Friends" and the release of 2011's namesake debut album. It begins with the impressive guitar skills of frontman Ruban Nielson, although with unfortunate lyrics about how "Isolation can put a gun in your hand." Nielson is a native New Zealander who originally began writing songs on his home equipment before meeting up with bass player/producer Jake Portrait and drummer Greg Rogove. The single "Swim and Sleep (Like a Shark)" was picked for my Winter 2013 New Music Playlist, with its wistful melody about a life underwater. "So Good At Being in Trouble" is the second single from the collection, a laid back track about bad boy behavior on the road communicated in a snarky smile. The bratty vibe also works well for the next song, "One at a Time," while lightening up the mood for "The Opposite of Afternoon," which brings in vocal harmonies over cavorting guitar lines. "Faded in The Morning" even adds some laughter into the mind altering mix. To further the mystery, the cover artwork features a photo of Janet Farrar, the British witch known as an author and teacher of Wiccan witchcraft. This band was on my Top Concert Experiences of 2012 and I'm looking forward to seeing them again when they come to Bowery Ballroom on February 28. Link to listen here (through Monday, January 28th).